To launch on 7th May 2012 in Exeter City Centre. An Exeter Blitz Audio Tour. Follow Edith through the city centre as the ghosts of Exeter emerge from the rubble to tell their stories. Members of Exeter based company, SourDough Theatre, have collaborated with Dan Smith from WootWoo to create a new audio experience for the city, to commemorate the bombing of Exeter in 1942. The tour takes the listener on a journey through central Exeter, guiding them to places of resonance in relation to the Blitz. Places where 18th century buildings stood, roads that were flattened and structures that were damaged yet survived. The tour comprises of stories and memories surrounding wartime Exeter and the night of May 4th, woven together with soundscapes and voices that echo from beneath your feet. “We want the people of Exeter to walk through the city with a new perspective. For us, this project has uncovered a part of Exeter’s rich history. We now look at the high street in a very different way, realizing what was lost and why the city is now shaped as it is.” SourDough Theatre. The tour has been made in associatio n with Viva Voce and The Bike Shed Theatre as part of The Exeter Blitz Project. The tour is one of many events happening throughout the city, all put together to commemorate the bombing of Exeter in 1942. Edith’s Walk will be avaliable to download from the site soon. The tour can be downloaded onto any mp3 player, ipod or smart phone and can be experienced at an audience member’s convenience. To launch the project, group led tours will be taking place on May 7th at various times throughout the day. Let SourDough take you back to old Exeter, to a time of romance and rationing. 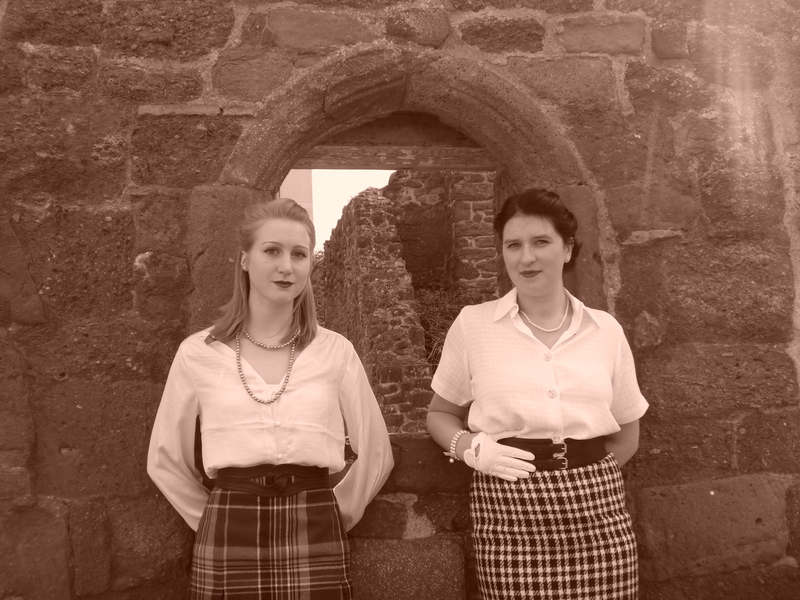 Experience the city through the eyes of 1940’s shop girl when Exeter was the ‘Jewel of the West’. Edith’s Walk is now ready to be downloaded! Just click on the link below to download the track onto your computer so you can transfer it to your ipod/mp3/smart phone. You will also need to download and print off the map that accompanies the tour (click the link below). Once this is done you are ready to take the tour! Start outside The Bike Shed Theatre and press play! Organised tours are taking place on Monday 7th May at 10am, 12pm and 2pm but the tour can be taken at any time. Feel free to let us know what you thought by commenting in the ‘leave a reply’ box at the bottom of the page.